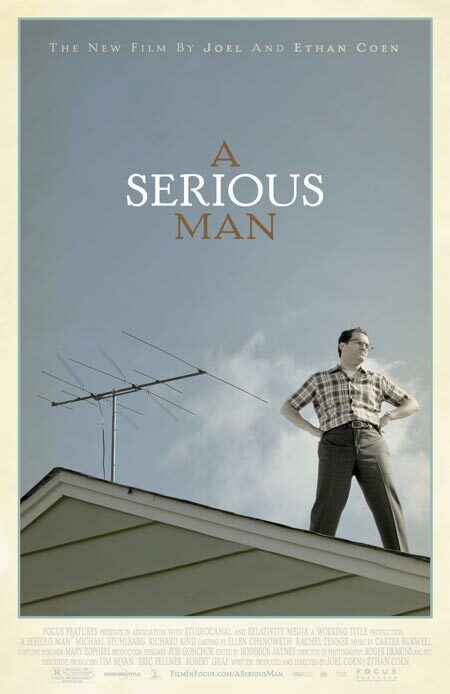 A late addition to my list of favourite films of the noughties: the Coen Brothers’ A Serious Man, still in cinemas. It’s a brilliant dark comedy about suffering, God and the meaning of life. Set amongst a suburban mid-Western Jewish community in 1970, Larry Gopnik is a physics professor whose life suddenly unravels. His wife announces she is leaving him for a nauseating positive thinker, Sy, and forces him to move into a motel with his troubled brother. As things get worse and worse, he tries to make sense of it, consulting all three rabbis at his synagogue. Their answers to his questions suggest religion has no satisfactory answers to suffering. Part of the genius is in the inventive, well observed interactions between characters, each of them a clever slightly cariactured distillation of human behaviour. The scenes with Larry’s redneck neighbour who is stealing a strip of Larry’s land are hilarious, as are those with the Korean student trying to bribe Larry. Perhaps best of all are the three rabbis, by turns a nervous and over-enthusiastic young rabbi; a middle-aged rabbi lacking conviction and satisfied living with ‘the mystery’ (‘Helping people? Well, that can’t hurt.’) and the ancient rabbi, lost in deep meditation, perhaps senile. There are few more serious or wittier films that I’ve ever seen. That said, a lot of people on the imdb.com board hated it, so you might be very disappointed. It’s one for fans of Synecdoche, New York and The Man Who Wasn’t There. * I’m working on Thursdays next year, which means the end of Thursdays 3pm. Thanks for listening. It’s been a good project to keep these posts coming. Sometimes it’s felt like a chore, but other times it’s brought out new thoughts in me. I’m going to keep blogging and I may even start a Friday or Monday regular post.